$3.00 (18.76%) FREE shipping on all U.S. orders. We also ship internationally. 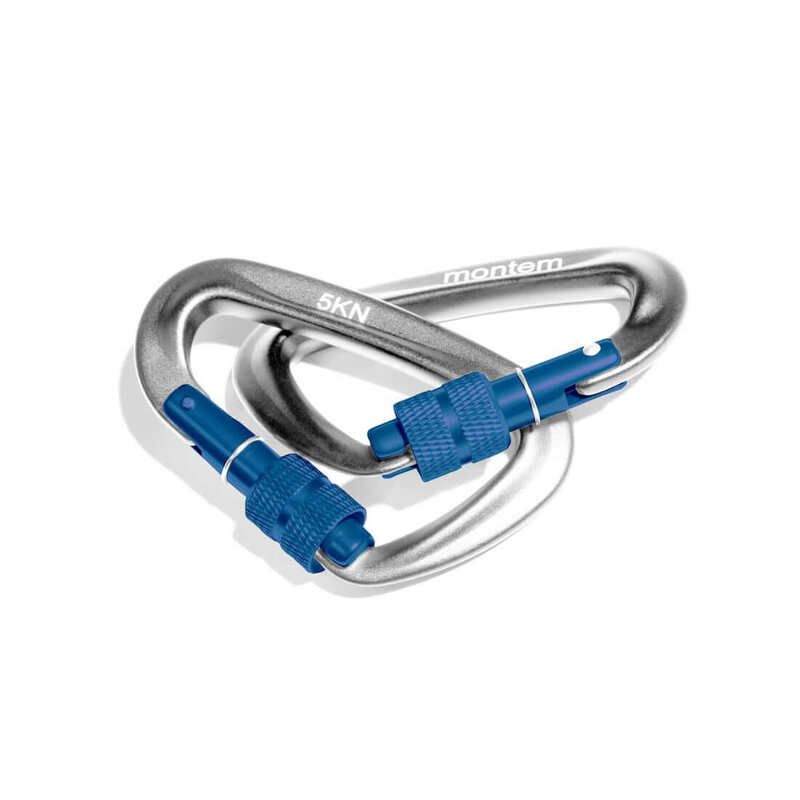 YOU GET: Pack of 2 premium Ultra Sturdy Screwgate Sleeve Carabiners. Rated at 5kN these can withstand 1,100lbs of force when fully locked! Hiking, camping, securing hammocks, swing straps, pets and MUCH MORE. Included will be one pair of Montem Ultra Sturdy Locking Carabiners (2 carabiners per set)! Montem Ultra Sturdy Locking Carabiners are built to last, comprised of aluminum craftsmanship and the most secure twist locking mechanism you can be sure your carabiners will support you as well as your hammock with ease (they’re rated 5kN – that’s over 1,100lbs of force at only 0.88oz per carabiner)! Excellent set. Multiple purchases predominantly for hammocks and gear hanging! I thought this was a quick release, slip/spring based cover for the carabeer latch lock. Turns out you have to screw it open or shut. Other than that, it suits my need of using it as a clip for my dog harness and leash. Nothing to dislike. Excellent product! Works smoothly and reliable. I purchased these to use for utility and they exceeded my expectations. They look and work great. This is a great locking carabiner. I use one for my dog leash works great easy on and off. They other one i use for backpacking securing different items to my backpack. Lightweight, easy to open and also to lock. We are using it to hold a climbing rope for our toddler.